RUOK day is an important day in the calendar giving people a reminder to those who need support. It’s all about reconnecting with people and reaching out to those who might be struggling with life. The ultimate objective is to be proactive and prevent suicide. Through the power of friendship and human connection people generally feel a sense of belonging. Strengthening this feeling is an important aspect to strengthening one’s self of relevance in the world. The opportunity that RUOK day presents is the reason to actively have the important mental health conversation. This conversation provides meaningful connection to people in our community. Furthermore, it not only helps the person that might need the support but also to the person who reaches out. As a result, it inspires confidence, courage and understanding. Suicide prevention is a challenging task all over the world. This is mainly because it can affect any person, in any community. Depression does not discriminate. Therefore, suicide prevention is an extremely important area that requires as much effort and resources as possible. RUOK day highlights this importance and puts a spotlight on the issues causing suicide. It also puts the ball in our own court empowering each individual to play a role. Furthermore, RUOK day provides us with the opportunity to get involved. So make the most of this day and get board! As technology plays more of a role in our day to day lives it is easy to lose sight of the importance human connection plays. RUOK day emphasises the importance of community and being part of something more than our own lives. RUOK day is a wonderful initiative that we can all participate in. Just start the conversation and ask the question RUOK? If they aren’t ok, be the listening ears and supporting heart to hear their problems. With all of this in mind your role is to direct those in need to professional help. Afterall, you’re just there to be a good friend. Good luck. It’s a day that you could change a life. 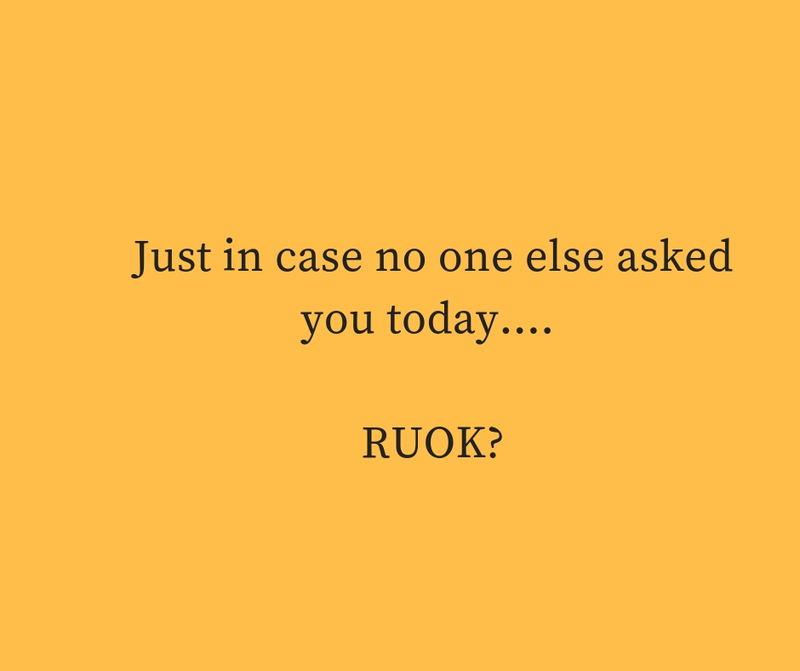 For more information on RUOK? day and how you can help more. Please visit their official website.